Galesburg FISH FOOD: Feb. 9th Mobile Food Pantry! A HUGE HUGE thanks to Riverbend Food Bank Moline, Galesburg Community Foundation, and all of our other wonderful Sponsors and incredible volunteers! Today we were very successful! 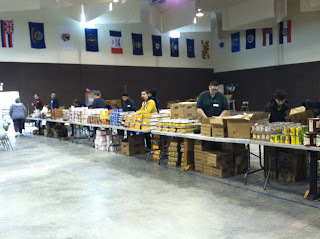 We distributed 10,000 pounds of food. Plus, it was a blast! 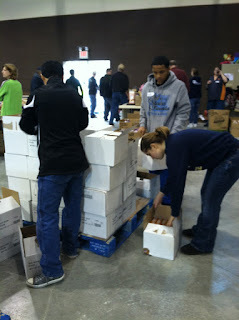 Here's some pictures of our volunteers in action! 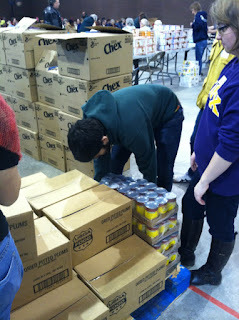 We had a great turnout with Knox College Student Volunteers and the return of some awesome Woodforest Volunteers!